Naturally healthy skin is unmatched in beauty. Incoroprating herbs by herbal care products into your skin care routine is a great way to support healthy skin and keep your skin looking beautiful and radient without resorting to the harsh chemical cocktail found in so many skin care products. Making your own skin care products is easy and satifying. Before you try using herbs for your skin care regimen, you should know that herbs can affect your skin negatively or positively. Like any skin care product, herbs can cause nice, healthy, clear skin, or rashes, itching and other issues. 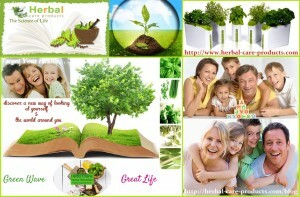 That’s why we prefer one of the best online herbal care products company, based in UK. Herbal care products have no side effects and serve international quality herbs for any health or skin disease problem cure. You should always do a skin test before using any sort of herbal product on your face. Take a dab of whatever herbal product you have and rub it onto your arm. Wait a day and see if a rash, itching or redness appears. If so, you could be allergic and shouldn’t use that herb. Herbs, even used topically, can also interfere with other medications. It’s important that you discuss all care regimens with your health care provider, a licensed dermatologist, or someone who is especially knowledgeable about herbs – like a holistic herbalist. Natural herbal remedies for healthy skin. There are many great herbs to try out in skin care products. From lotions to facial mists, to a quick homemade acne remedy – there are herbs for everyone and every use. However, some are likely more suitable for your skin then others. This list of herbs for healthy skin, and what they’re best for, will help you determine which herbs you may like in your skin care preparations. You’ll notice that some fall into two categories, which only means that it’s good for both skin types. Natural herbal products give you healthy skin. Basil: This popular culinary herb is is also a natural antibacterial that is good for treating acne. Dandelion: This common weed is also a natural anti-microbial and anti-fungal herb that is useful for treating acne. Lavender: Lavender is soothing to the skin and aslo helpful in treating acne. Neem: Neem is a natural astringent but also an antibacterial, making it useful in treating problem skin. Rosemary: Rosemary is a natural astringent that helps tone oily skin. Aloe: Aloe is very well known for it’s healing ability. It is an excellent moisturizer as well. Borage: Borage is moisturizing and is thought to be a natural alpha-hydroxy. Lady’s mantle: This herb helps prevent skin from sagging. Marsh mallow: This pretty herb is useful in soothing irritated, dry skin. Melissa: Also known as lemon balm, this herb is good for all skin types and helps soothe irritation. Clary-sage: This anti-aging herb also reduces puffiness. Lavender: Lavender is soothing to the skin. Nettle: An infusion of nettles can be used to soothe chapped skin. Nettles are also good in a steam facial. Lemon balm: This herb is good for all skin types. Comfrey: Perfect for rough and dry skin. Contains the protein allantoin which speeds up cell renewal. Elderflower: Good for elderly skin and most other skin type; smoothes wrinkles, fades freckles, and can even sooth sunburns. Calendula: Heals extra problematic skin – especially nice for healing rough patches. Lavender: Above it’s noted that lavender is good for oily skin and it is. It’s also one of those all around herbs that are useful for almost any person’s skin type. Lavender also helps fight acne. Chamomile: Actually can whiten skin, plus softens and fights acne. Peppermint: Good for many skin types and can act as an astringent. Sage: Tightens pores, stimulates, and cleanses well. There are lots of ways to use fragrant herbs for healthy skin. You can buy products with herbs already in them, or use fresh, powdered, or dried herbs at home. You can make herbal salves. You can take herbal supplements, or drink herbal teas. However, of all herbal applications, most herb specialists believe that fresh herbs hold the most health benefits. Natural health products for healthier skin and body. The easiest way to use herbs on your facial skin is with an herbal steam. Chop up your favorite organic fresh herb, or mixture of fresh herbs. Add about two handfuls of fresh herbs to a big bowl and add six to seven cups of boiling water. Stir slightly, place a towel over your head, and sit over the bowl. Your face needs to be about a foot away from the fresh steam, but still close enough that the steam is drifting to your skin. Stay over the steam, with your eyes closed for around 15 minutes. Afterwards, splash your face with cool water. You can do facial steams about six times a month if you have oily skin. If you have normal or really dry skin, don’t steam more than once a week, if that; every two weeks is likely better. For a whole body steam, add the herbs into the bottom of your shower before you hop in. This can be a little messy to clean up, but if you don’t have a sauna, it works. There as many recipes for herbal skin cleansers as there are herbs. Check out the following resouces for cleanser recipes for you to play with using your own herbs. Harmony Green: Various recipes for herbal skin cleansers. Pioneer Thinking: Lists many recipes for natural skin care products. Bring out your own natural beauty with natural, herbal skin care products that you can purchase or make yourself. You’ll not only feel good about looking beauiful, you’ll feel great that you can do it in a natural healthy way.